Baby Sale and Baby Fair are special treats for your precious little bosses! Baby Sale and Baby Fair events both started last May 1, 2017. 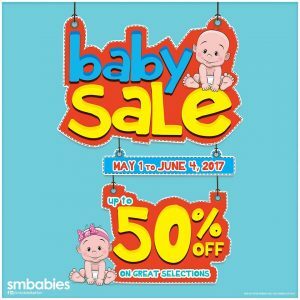 The SM Babies’ BABY SALE is offering a wide range of products and accessories for babies and infants. Here is your chance to pick up a steal for your little ones’ collection. Dash off to the nearest SM Store and grab comfy (and yet super stylish) outfits for your little ones such as tops, pants, hoodies, and a lot more! 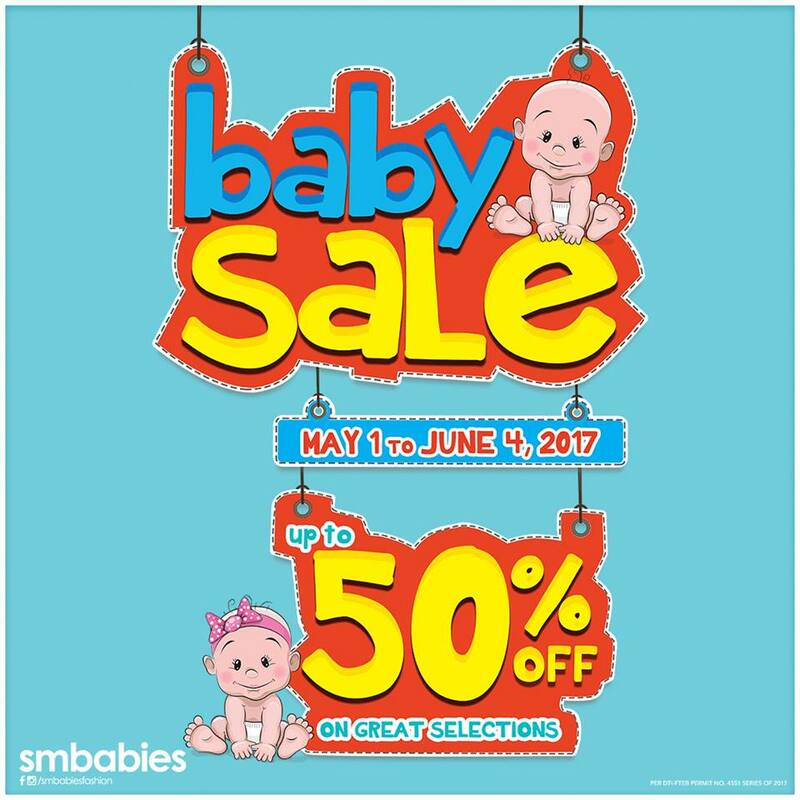 Enjoy up to 50% discount on great selections at SM Babies’ BABY SALE until June 4, 2017! SM Stores’ SM Babies section has everything you need to keep your babies looking cute and comfortable in their day to day activities! Meanwhile, Metro Baby Fair is still on-going at Market! Market! Activity Center! Great finds and hot deals await you and your little ones. Grab those baby essentials with up to 50% off from May 1 to 6 and treat the boss! Market! Market! is located at McKinley Pkwy, Taguig, Metro Manila. 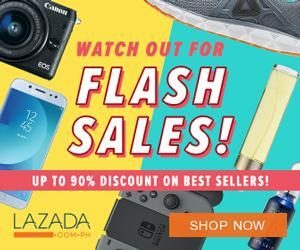 It is a one stop shopping haven in Bonifacio Global City offering a wide array of value shopping, dining and entertainment options for everyone.